Laredo E trim, Billet Silver Metallic Clearcoat exterior. Dual Zone A/C, Keyless Start, Blind Spot Monitor, Smart Device Integration, Bluetooth, TRANSMISSION: 8-SPEED AUTOMATIC (850R... iPod/MP3 Input. EPA 25 MPG Hwy/18 MPG City! READ MORE! KEY FEATURES INCLUDE 4x4, Back-Up Camera, iPod/MP3 Input, Bluetooth, Aluminum Wheels, Keyless Start, Dual Zone A/C, Smart Device Integration, Blind Spot Monitor. Rear Spoiler, MP3 Player, Privacy Glass, Keyless Entry, Child Safety Locks. OPTION PACKAGES SECURITY & CONVENIENCE GROUP Cargo Compartment Cover, Universal Garage Door Opener, 115V Auxiliary Power Outlet, Power Liftgate, Security Alarm, QUICK ORDER PACKAGE 2BE LAREDO E Engine: 3.6L V6 24V VVT UPG I w/ESS, Transmission: 8-Speed Automatic (850RE), Power 4-Way Driver Lumbar Adjust, Bright Side Roof Rails, Power 8-Way Driver/Manual Passenger Seat, ENGINE: 3.6L V6 24V VVT UPG I W/ESS (STD), TRANSMISSION: 8-SPEED AUTOMATIC (850RE) (STD). EXPERTS RAVE The Grand Cherokee is quiet to the point that it's almost serene. We also like the front seats and the quick-acting climate system. -Edmunds.com. Great Gas Mileage: 25 MPG Hwy. OUR OFFERINGS At Waconia new and used Chrysler, Dodge, Ram and Jeep dealership. Has been a locally owned and operated family business since 1965. We strive to exceed your expectations. With a knowledgeable sales team, large inventory and everyday low prices, Waconia is the only place you will need to shop for a new or used car by Chrysler, Dodge, Ram or Jeep. Fuel economy calculations based on original manufacturer data for trim engine configuration. Please confirm the accuracy of the included equipment by calling us prior to purchase. Heated Seats, NAV, Sunroof, iPod/MP3 Input, Dual Zone A/C, Back-Up Camera, ENGINE: 3.6L V6 24V VVT UPG I W/ESS, QUICK ORDER PACKAGE 2BC UPLAND. FUEL EFFICIENT 25 MPG Hwy/18 MPG City! Upland trim, Bright White Clearcoat exterior CLICK ME! KEY FEATURES INCLUDE 4x4, Back-Up Camera, iPod/MP3 Input, Aluminum Wheels, Dual Zone A/C Rear Spoiler, MP3 Player, Keyless Entry, Privacy Glass, Steering Wheel Controls. OPTION PACKAGES QUICK ORDER PACKAGE 2BC UPLAND Engine: 3.6L V6 24V VVT UPG I w/ESS, Transmission: 8-Speed Automatic (850RE), Liquid Titanium Accents, Gloss Black Roof Rails, Gloss Black Rear Fascia Applique, Blue-Accent Badges, Gloss Black Grille w/Black Honeycomb, Tow Hooks, Delete Laredo Badge, Rear Fascia Black Mic Step Pad, Security & Convenience Group, Heated Front Seats, Universal Garage Door Opener, 115V Auxiliary Power Outlet, Remote Start System, Power Liftgate, Heated Steering Wheel, Security Alarm, Jeep Black Gloss Badging, Dark Headlamp Bezel Finish, Gloss Black Exterior Accents, Rear View Auto Dim Mirror, Dark Lens Taillamps, Power 4-Way Driver Lumbar Adjust, Upland Package, Dark Day Light Opening Moldings, Power 8-Way Driver/Manual Passenger Seat, RADIO: UCONNECT 4C NAV W/8.4 DISPLAY SiriusXM Travel Link, 5-Year SiriusXM Travel Link Service, 5-Year SiriusXM Traffic Service, 1-Year SiriusXM Guardian Trial, HD Radio, SiriusXM Traffic Plus, For Details Visit DriveUconnect.com, GPS Navigation, 8.4 Touchscreen Display, POWER SUNROOF, ENGINE: 3.6L V6 24V VVT UPG I W/ESS (STD), TRANSMISSION: 8-SPEED AUTOMATIC (850RE) (STD). BUY FROM AN AWARD WINNING DEALER At Waconia new and used Chrysler, Dodge, Ram and Jeep dealership. Has been a locally owned and operated family business since 1965. We strive to exceed your expectations. With a knowledgeable sales team Fuel economy calculations based on original manufacturer data for trim engine configuration. Please confirm the accuracy of the included equipment by calling us prior to purchase. Heated Seats, Nav System, Smart Device Integration, Blind Spot Monitor, Dual Zone A/C, ENGINE: 3.6L V6 24V VVT UPG I W/ESS, 4x4. Altitude trim, Diamond Black Crystal Pearlcoat exterior. FUEL EFFICIENT 25 MPG Hwy/18 MPG City! SEE MORE! KEY FEATURES INCLUDE Navigation, 4x4, Back-Up Camera, iPod/MP3 Input, Aluminum Wheels, Dual Zone A/C, Smart Device Integration, Blind Spot Monitor. Rear Spoiler, MP3 Player, Privacy Glass, Keyless Entry, Steering Wheel Controls. OPTION PACKAGES QUICK ORDER PACKAGE 2BZ ALTITUDE Engine: 3.6L V6 24V VVT UPG I w/ESS, Transmission: 8-Speed Automatic (850RE), SiriusXM Traffic Plus, Jeep Black Gloss Badging, Dark Headlamp Bezel Finish, Body Color Fascia, Power 4-Way Driver Lumbar Adjust, Power 8-Way Driver/Manual Passenger Seat, Dark Day Light Opening Moldings, SiriusXM Travel Link, Body Color Claddings, 5-Year SiriusXM Travel Link Service, 5-Year SiriusXM Traffic Service, Rear Accent/Body Color Fascia, Gloss Black Rear Fascia Applique, USB Host Flip, 4G LTE Wi-Fi Hot Spot, 1-YR SiriusXM Guardian Trial, HD Radio, Integrated Center Stack Radio, Instrument Cluster w/Off-Road Disp, Pages, SiriusXM Satellite Radio, GPS Antenna Input, GPS Navigation, 8.4 Touchscreen Display, Body Color Shark Fin Antenna, Altitude IV Package, Front, ENGINE: 3.6L V6 24V VVT UPG I W/ESS (STD), TRANSMISSION: 8-SPEED AUTOMATIC (850RE) (STD). EXPERTS ARE SAYING Great Gas Mileage: 25 MPG Hwy. OUR OFFERINGS At Waconia new and used Chrysler, Dodge, Ram and Jeep dealership. Has been a locally owned and operated family business since 1965. We strive to exceed your expectations. With a knowledgeable sales team, large inventory and everyday low prices, Waconia is the only place you will need to shop for a new or used car by Chrysler, Dodge, Ram or Jeep. Fuel economy calculations based on original manufacturer data for trim engine configuration. Please confirm the accuracy of the included equipment by calling us prior to purchase. Moonroof, Heated Seats, Nav System, Dual Zone A/C, Blind Spot Monitor, Smart Device Integration, ENGINE: 3.6L V6 24V VVT UPG I W/ESS. Upland trim, Diamond Black Crystal Pearlcoat exterior. EPA 25 MPG Hwy/18 MPG City! AND MORE! KEY FEATURES INCLUDE Back-Up Camera, iPod/MP3 Input, Aluminum Wheels, Dual Zone A/C, Blind Spot Monitor, Smart Device Integration Rear Spoiler, MP3 Player, Keyless Entry, Privacy Glass, Child Safety Locks. OPTION PACKAGES QUICK ORDER PACKAGE 2BC UPLAND Engine: 3.6L V6 24V VVT UPG I w/ESS, Transmission: 8-Speed Automatic (850RE), Liquid Titanium Accents, Gloss Black Roof Rails, Gloss Black Rear Fascia Applique, Blue-Accent Badges, Gloss Black Grille w/Black Honeycomb, Tow Hooks, Rear Fascia Black Mic Step Pad, Security & Convenience Group, Heated Front Seats, Universal Garage Door Opener, 115V Auxiliary Power Outlet, Remote Start System, Power Liftgate, Heated Steering Wheel, Security Alarm, Jeep Black Gloss Badging, Dark Headlamp Bezel Finish, Gloss Black Exterior Accents, Quadra-Trac II 4WD System, Hill Descent Control, Rear View Auto Dim Mirror, Dark Lens Taillamps, Power 4-Way Driver Lumbar Adjust, Dark Day Light Opening Moldings, Power 8-Way Driver/Manual Passenger Seat, RADIO: UCONNECT 4C NAV W/8.4 DISPLAY USB Host Flip, 4G LTE Wi-Fi Hot Spot, 1-YR SiriusXM Guardian Trial, HD Radio, Integrated Center Stack Radio, Instrument Cluster w/Off-Road Disp, Pages, SiriusXM Satellite Radio, GPS Antenna Input, GPS Navigation, 8.4 Touchscreen Display, POWER SUNROOF, ENGINE: 3.6L V6 24V VVT UPG I W/ESS (STD), TRANSMISSION: 8-SPEED AUTOMATIC (850RE) (STD). WHO WE ARE At Waconia new and used Chrysler, Dodge, Ram and Jeep dealership. Has been a locally owned and operated family business since 1965. We strive to exceed your expectations. With a knowledgeable sales team Fuel economy calculations based on original manufacturer data for trim engine configuration. Please confirm the accuracy of the included equipment by calling us prior to purchase. Nav System, Moonroof, Heated Seats, Dual Zone A/C, Smart Device Integration, Blind Spot Monitor, iPod/MP3 Input, ENGINE: 3.6L V6 24V VVT UPG I W/ESS. Altitude trim, Bright White Clearcoat exterior. EPA 25 MPG Hwy/18 MPG City! SEE MORE! KEY FEATURES INCLUDE Navigation, 4x4, Back-Up Camera, iPod/MP3 Input, Aluminum Wheels, Dual Zone A/C, Smart Device Integration, Blind Spot Monitor Rear Spoiler, MP3 Player, Privacy Glass, Keyless Entry, Steering Wheel Controls. OPTION PACKAGES QUICK ORDER PACKAGE 2BZ ALTITUDE Engine: 3.6L V6 24V VVT UPG I w/ESS, Transmission: 8-Speed Automatic (850RE), SiriusXM Traffic Plus, Jeep Black Gloss Badging, Dark Headlamp Bezel Finish, Body Color Fascia, Power 4-Way Driver Lumbar Adjust, Power 8-Way Driver/Manual Passenger Seat, Dark Day Light Opening Moldings, SiriusXM Travel Link, Body Color Claddings, 5-Year SiriusXM Travel Link Service, 5-Year SiriusXM Traffic Service, Rear Accent/Body Color Fascia, Gloss Black Rear Fascia Applique, USB Host Flip, 4G LTE Wi-Fi Hot Spot, 1-YR SiriusXM Guardian Trial, HD Radio, Integrated Center Stack Radio, Instrument Cluster w/Off-Road Disp, Pages, SiriusXM Satellite Radio, GPS Antenna Input, GPS Navigation, 8.4 Touchscreen Display, Body Color Shark Fin Antenna, Altitude IV Package, Front, POWER SUNROOF, TRANSMISSION: 8-SPEED AUTOMATIC (850RE) (STD), ENGINE: 3.6L V6 24V VVT UPG I W/ESS (STD). VEHICLE REVIEWS Great Gas Mileage: 25 MPG Hwy. VISIT US TODAY At Waconia new and used Chrysler, Dodge, Ram and Jeep dealership. Has been a locally owned and operated family business since 1965. We strive to exceed your expectations. With a knowledgeable sales team, large inventory and everyday low prices, Waconia is the only place you will need to shop for a new or used car by Chrysler, Dodge, Ram or Jeep. Fuel economy calculations based on original manufacturer data for trim engine configuration. Please confirm the accuracy of the included equipment by calling us prior to purchase. Sunroof, Heated Seats, Navigation, Dual Zone A/C, Smart Device Integration, Blind Spot Monitor, ENGINE: 3.6L V6 24V VVT UPG I W/ESS, POWER SUNROOF. Velvet Red Pearlcoat exterior, Altitude trim. EPA 25 MPG Hwy/18 MPG City! CLICK ME! KEY FEATURES INCLUDE Navigation, 4x4, Back-Up Camera, iPod/MP3 Input, Aluminum Wheels, Dual Zone A/C, Smart Device Integration, Blind Spot Monitor. Rear Spoiler, MP3 Player, Privacy Glass, Keyless Entry, Steering Wheel Controls. OPTION PACKAGES QUICK ORDER PACKAGE 2BZ ALTITUDE Engine: 3.6L V6 24V VVT UPG I w/ESS, Transmission: 8-Speed Automatic (850RE), SiriusXM Traffic Plus, Jeep Black Gloss Badging, Dark Headlamp Bezel Finish, Body Color Fascia, Power 4-Way Driver Lumbar Adjust, Power 8-Way Driver/Manual Passenger Seat, Dark Day Light Opening Moldings, SiriusXM Travel Link, Body Color Claddings, 5-Year SiriusXM Travel Link Service, 5-Year SiriusXM Traffic Service, Rear Accent/Body Color Fascia, Gloss Black Rear Fascia Applique, USB Host Flip, 4G LTE Wi-Fi Hot Spot, 1-YR SiriusXM Guardian Trial, HD Radio, Integrated Center Stack Radio, Instrument Cluster w/Off-Road Disp, Pages, SiriusXM Satellite Radio, GPS Antenna Input, GPS Navigation, 8.4 Touchscreen Display, Body Color Shark Fin Antenna, Altitude IV Package, Front, POWER SUNROOF, TRANSMISSION: 8-SPEED AUTOMATIC (850RE) (STD), ENGINE: 3.6L V6 24V VVT UPG I W/ESS (STD). EXPERTS CONCLUDE Great Gas Mileage: 25 MPG Hwy. WHY BUY FROM US At Waconia new and used Chrysler, Dodge, Ram and Jeep dealership. Has been a locally owned and operated family business since 1965. We strive to exceed your expectations. With a knowledgeable sales team, large inventory and everyday low prices, Waconia is the only place you will need to shop for a new or used car by Chrysler, Dodge, Ram or Jeep. Fuel economy calculations based on original manufacturer data for trim engine configuration. Please confirm the accuracy of the included equipment by calling us prior to purchase. Sunroof, Heated Seats, Navigation, Dual Zone A/C, Smart Device Integration, Blind Spot Monitor, ENGINE: 3.6L V6 24V VVT UPG I W/ESS. Altitude trim, Granite Crystal Metallic Clearcoat exterior. EPA 25 MPG Hwy/18 MPG City! CLICK NOW! KEY FEATURES INCLUDE Navigation, 4x4, Back-Up Camera, iPod/MP3 Input, Aluminum Wheels, Dual Zone A/C, Smart Device Integration, Blind Spot Monitor. Rear Spoiler, MP3 Player, Privacy Glass, Keyless Entry, Steering Wheel Controls. OPTION PACKAGES QUICK ORDER PACKAGE 2BZ ALTITUDE Engine: 3.6L V6 24V VVT UPG I w/ESS, Transmission: 8-Speed Automatic (850RE), SiriusXM Traffic Plus, Jeep Black Gloss Badging, Dark Headlamp Bezel Finish, Body Color Fascia, Power 4-Way Driver Lumbar Adjust, Power 8-Way Driver/Manual Passenger Seat, Dark Day Light Opening Moldings, SiriusXM Travel Link, Body Color Claddings, 5-Year SiriusXM Travel Link Service, 5-Year SiriusXM Traffic Service, Rear Accent/Body Color Fascia, Gloss Black Rear Fascia Applique, USB Host Flip, 4G LTE Wi-Fi Hot Spot, 1-YR SiriusXM Guardian Trial, HD Radio, Integrated Center Stack Radio, Instrument Cluster w/Off-Road Disp, Pages, SiriusXM Satellite Radio, GPS Antenna Input, GPS Navigation, 8.4 Touchscreen Display, Body Color Shark Fin Antenna, Altitude IV Package, Front, POWER SUNROOF, TRANSMISSION: 8-SPEED AUTOMATIC (850RE) (STD), ENGINE: 3.6L V6 24V VVT UPG I W/ESS (STD). EXPERTS RAVE Great Gas Mileage: 25 MPG Hwy. MORE ABOUT US At Waconia new and used Chrysler, Dodge, Ram and Jeep dealership. Has been a locally owned and operated family business since 1965. We strive to exceed your expectations. With a knowledgeable sales team, large inventory and everyday low prices, Waconia is the only place you will need to shop for a new or used car by Chrysler, Dodge, Ram or Jeep. Fuel economy calculations based on original manufacturer data for trim engine configuration. Please confirm the accuracy of the included equipment by calling us prior to purchase. Heated Seats, Moonroof, Navigation, Dual Zone A/C, Smart Device Integration, Blind Spot Monitor, ENGINE: 3.6L V6 24V VVT UPG I W/ESS. Granite Crystal Metallic Clearcoat exterior, Altitude trim. EPA 25 MPG Hwy/18 MPG City! AND MORE! KEY FEATURES INCLUDE Navigation, 4x4, Back-Up Camera, iPod/MP3 Input, Aluminum Wheels, Dual Zone A/C, Smart Device Integration, Blind Spot Monitor Rear Spoiler, MP3 Player, Privacy Glass, Keyless Entry, Steering Wheel Controls. OPTION PACKAGES QUICK ORDER PACKAGE 2BZ ALTITUDE Engine: 3.6L V6 24V VVT UPG I w/ESS, Transmission: 8-Speed Automatic (850RE), SiriusXM Traffic Plus, Jeep Black Gloss Badging, Dark Headlamp Bezel Finish, Body Color Fascia, Power 4-Way Driver Lumbar Adjust, Power 8-Way Driver/Manual Passenger Seat, Dark Day Light Opening Moldings, SiriusXM Travel Link, Body Color Claddings, 5-Year SiriusXM Travel Link Service, 5-Year SiriusXM Traffic Service, Rear Accent/Body Color Fascia, Gloss Black Rear Fascia Applique, USB Host Flip, 4G LTE Wi-Fi Hot Spot, 1-YR SiriusXM Guardian Trial, HD Radio, Integrated Center Stack Radio, Instrument Cluster w/Off-Road Disp, Pages, SiriusXM Satellite Radio, GPS Antenna Input, GPS Navigation, 8.4 Touchscreen Display, Body Color Shark Fin Antenna, Altitude IV Package, Front, POWER SUNROOF, TRANSMISSION: 8-SPEED AUTOMATIC (850RE) (STD), ENGINE: 3.6L V6 24V VVT UPG I W/ESS (STD). VEHICLE REVIEWS Great Gas Mileage: 25 MPG Hwy. WHY BUY FROM US At Waconia new and used Chrysler, Dodge, Ram and Jeep dealership. Has been a locally owned and operated family business since 1965. We strive to exceed your expectations. With a knowledgeable sales team, large inventory and everyday low prices, Waconia is the only place you will need to shop for a new or used car by Chrysler, Dodge, Ram or Jeep. Fuel economy calculations based on original manufacturer data for trim engine configuration. Please confirm the accuracy of the included equipment by calling us prior to purchase. Heated Leather Seats, Nav System, Satellite Radio, iPod/MP3 Input, Back-Up Camera, ENGINE: 3.6L V6 24V VVT UPG I W/ESS, TRAILER TOW GROUP IV. Bright White Clearcoat exterior, Limited trim. FUEL EFFICIENT 25 MPG Hwy/18 MPG City! READ MORE! KEY FEATURES INCLUDE Leather Seats, Navigation, 4x4, Power Liftgate, Heated Driver Seat, Back-Up Camera, Satellite Radio, iPod/MP3 Input, Onboard Communications System, Aluminum Wheels, Remote Engine Start, Dual Zone A/C, Heated Seats, Heated Leather Seats. Rear Spoiler, MP3 Player, Keyless Entry, Privacy Glass, Remote Trunk Release. OPTION PACKAGES TRAILER TOW GROUP IV Rear Load Leveling Suspension, 7 & 4 Pin Wiring Harness, Delete Rear Tow Hook, Class IV Receiver Hitch, Heavy Duty Engine Cooling, Full Size Spare Tire, Steel Spare Wheel, ENGINE: 3.6L V6 24V VVT UPG I W/ESS (STD), TRANSMISSION: 8-SPEED AUTOMATIC (850RE) (STD). EXPERTS ARE SAYING Edmunds.com's review says The Grand Cherokee is quiet to the point that it's almost serene. We also like the front seats and the quick-acting climate system.. Great Gas Mileage: 25 MPG Hwy. WHY BUY FROM US At Waconia new and used Chrysler, Dodge, Ram and Jeep dealership. Has been a locally owned and operated family business since 1965. We strive to exceed your expectations. With a knowledgeable sales team, large inventory and everyday low prices, Waconia is the only place you will need to shop for a new or used car by Chrysler, Dodge, Ram or Jeep. Fuel economy calculations based on original manufacturer data for trim engine configuration. Please confirm the accuracy of the included equipment by calling us prior to purchase. Heated Leather Seats, Navigation, Satellite Radio, iPod/MP3 Input, Back-Up Camera, ENGINE: 3.6L V6 24V VVT UPG I W/ESS, Trailer Hitch. Billet Silver Metallic Clearcoat exterior, Limited trim. FUEL EFFICIENT 25 MPG Hwy/18 MPG City! SEE MORE! KEY FEATURES INCLUDE Leather Seats, Navigation, 4x4, Power Liftgate, Heated Driver Seat, Back-Up Camera, Satellite Radio, iPod/MP3 Input, Onboard Communications System, Aluminum Wheels, Remote Engine Start, Dual Zone A/C, Heated Seats, Heated Leather Seats Rear Spoiler, MP3 Player, Keyless Entry, Privacy Glass, Remote Trunk Release. OPTION PACKAGES TRAILER TOW GROUP IV Rear Load Leveling Suspension, 7 & 4 Pin Wiring Harness, Delete Rear Tow Hook, Class IV Receiver Hitch, Heavy Duty Engine Cooling, Full Size Spare Tire, Steel Spare Wheel, ENGINE: 3.6L V6 24V VVT UPG I W/ESS (STD), TRANSMISSION: 8-SPEED AUTOMATIC (850RE) (STD). EXPERTS ARE SAYING Edmunds.com explains The Grand Cherokee is quiet to the point that it's almost serene. We also like the front seats and the quick-acting climate system.. Great Gas Mileage: 25 MPG Hwy. 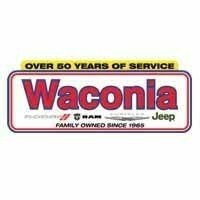 WHO WE ARE At Waconia new and used Chrysler, Dodge, Ram and Jeep dealership. Has been a locally owned and operated family business since 1965. We strive to exceed your expectations. With a knowledgeable sales team, large inventory and everyday low prices, Waconia is the only place you will need to shop for a new or used car by Chrysler, Dodge, Ram or Jeep. Fuel economy calculations based on original manufacturer data for trim engine configuration. Please confirm the accuracy of the included equipment by calling us prior to purchase.